James Stillwell has recently invited me to be a guest on his Open Air Atheist podcast. In Episode 6, we discuss Buddhism for the naturalist, compatible with atheist, agnostic, Humanist, freethinker, and skeptic worldviews. The discussion is about an hour and a half, and can be heard for free by going to iTunes and searching "OpenAirAtheistPodCast". There are some sound issues early on, but they get better over the course of the program. LINK: Open Air Atheist, Episode 6 "Naturalistic Buddhism"
Rebirth: At 25:10, we get into the subject of reincarnation and I could have addressed it better. For more information on this, what Buddhists mean by it, and a naturalistic perspective on it, please see my essay, A Naturalistic Approach to Buddhist Karma & Rebirth. Another relevant article would be Visit to A Buddhist Temple. Quantum Physics: At 49:18 James asks about correlations between Buddhism and quantum physics, which I largely dismiss as common distortions by new agers and others. However, I should have added that one area of modern science that does greatly illuminate concepts in Buddhism and Taoism is Complex Systems Theory. Ritual: At one point I say that I'll get around to ritual in a moment, but never do. 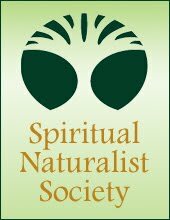 The role of ritual for the spiritual naturalist is primarily for the purposes of self conditioning, integrating a sense of meaning, and focusing into a certain mindset for habit-building, awareness, and self development. There are also fellowship aspects to ritual. This, as opposed to ritual for the purposes of appeasing some other entities or causing external alleged phenomena to be effected somehow. Meditation: At 1:04:52 we begin discussing meditation. For the full explanation of meditation I reference, see Humanist Meditation 101. For those who listened to the podcast and have thoughts and questions, please feel free to comment here. Many thanks to James for a stimulating conversation!